The University of Melbourne is located in Melbourne, Australia and was founded in 1853. Melbourne, where the University of Melbourne is located. The university of Melbourne is considered one of the top universities in Australia. It is a public research university located in the city of Melbourne in Australia. The university has an exciting motto which reads “May I grow in the esteem of the future generations,” indicating its utmost endeavor to build a formidable future for young adults. Melbourne University was established by an act of cooperation in January 22nd 1953, and the foundation stone was laid in 1954. The University was later opened for arts, medicine, law and music classes through its first Chancellor Redmond Barry in 1855. Barry held this position until his death in 1880. The university’s speedy inauguration was realized as a result of the wealthy status of Victoria State. Victoria was enjoying an epoch of Gold Rush during the time. The first women admission was later realized in the year 1880 and this was seen as a gesture of victory over the conservative ruling council. The university of Melbourne was founded in 1853. This makes it the second oldest university in the whole country and the oldest in Victoria. The university was established with help of an Australian Minister Hugh Childers whose strategic endeavors as a state finance minister played a key role in the establishment process. Hugh set aside a sum of £10,000 to fund the establishment project. The money was set aside during Hugh’s budget speech in November 4th 1852. The university is led by a chancellor who is the overall overseer of all its activities. Moreover, the university has a governing body known as the council, which makes decisions on the general direction and superintendence of the university. Besides this body, there are others such as the academic board, the university executive, as well as other academic and non-academic bodies. Needless to say, the university is organized into graduate schools and faculties. This classification is necessary to achieve a vast range of studies as well as intellectualism in research capabilities. Melbourne university is known all over the world through its overseas admission criteria. This has made it a notable institution on the world map. The university is ranked alongside top-notch universities across the globe. Nevertheless, the university is often ranked as the best institution offering higher education in Australia. It has been ranked 33 in the whole world by Times Higher Education, and 40th in the whole world by Academic Ranking of World Universities. 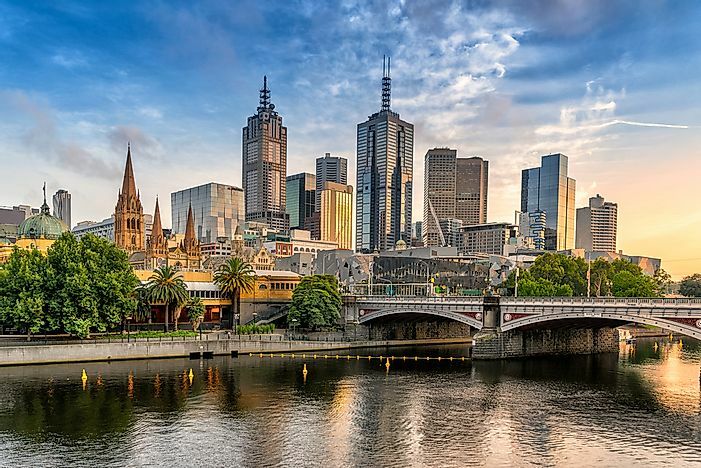 Being a university of its stature, Melbourne University prides itself with an array of notable alumni both in Australia and in other places around the world. Some of the notable alumni include Professor Gillian Triggs a Human Rights Commissioner, The Honorable Julian Gillard a Former Prime Minister of Australia, Professor A Singer AC a Philosopher and an academician, Ronny Chieng a Comedian, Pallavi Sharda an actress, among others. Moreover, there are other notable personalities who passed through the Institution and are serving the country and the world as well, in different capacities as politicians, philosophers, entertainers, writers, among other disciplines.